We have been bid sniping auctions since 2003, and offer an eBay sniping solution that is fully automated and simple to use. In the past 10 years our bidding service has saved users over 5 million dollars on eBay auctions. The Powersnipe bid sniper system has been reviewed in Time Magazine and the Wall Street Journal. 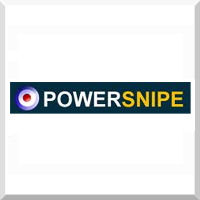 Powersnipe is an eBay Sniper and bid sniping service that automatically places your bid in the closing seconds of an eBay bidding auction, increasing your chance of winning. You tell us what you what to bid and we snipe eBay for you.